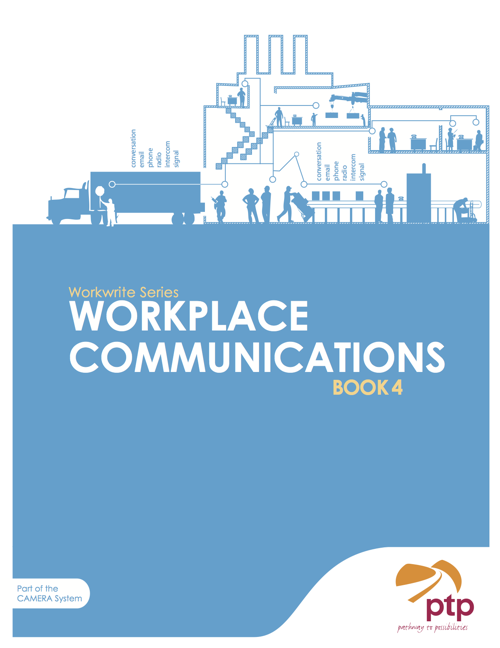 The workwrite series is a collection of instructional workbooks focusing on the functions and features of workplace documents. Aimed at engaging adults in understanding and using documents they will encounter in entry-level positions in the industrial, clerical, retail, and hospitality sectors (can also be adapted for use in other work areas), the series provides lesson plans and ample practice with a wide array of authentic workplace documents such as lists, notices, work schedules, job postings, office memos, agendas, meeting minutes, brochures and much more! The series is the third component of the CAMERA system and was designed to help instructors to identify learning content, and improve skills acquisition based on the results of the initial CAMERA assessment. However, the series can be used independently of CAMERA to support adult upgrading curricula, create lesson plans and design targeted program models. Volume 1 is a collection of the first three books from the series, Book 1: Organizing Information, Book 2: Schedules, and Book 3: Information Forms, compiled into one volume. Book 2: Schedules – familiarizes the user with a variety of schedules including daily, weekly, and monthly schedules. 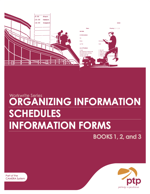 Book 3: Information Forms – demonstrates different document formats and their uses, including questionnaires, checklists, agreements, claims, invoices, reports, inspections, and notices. 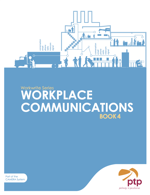 Book 4: Workplace Communications explains and demonstrates various ways individuals within a workplace communicate with each other. The book contains a broad range of original workplace document types and styles and discusses the use of notices, postings, memoranda, agenda, meeting minutes, fax cover sheets, email work orders, job postings and letters. Book 5: Policies and Procedures provides exposure to longer texts and discusses what they represent in the workplace — their purpose, who reads them, and their connection to legislation. 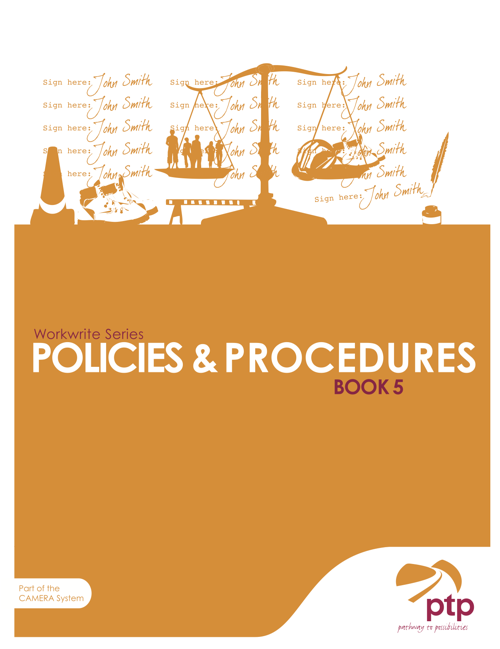 The range of authentic documents in this resource includes policies, procedures, rules, regulations and guidelines. Documents and activities are most appropriate for Ontario’s literacy and basic skills levels 3 to 5 (intermediate to advanced literacy upgrading) but can be adjusted for use at a variety of levels. 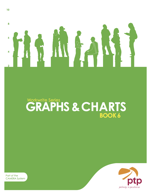 Book 6: Graphs and Charts offers an opportunity to interact with an array of visual information displays. It explores everything from bar and line graphs to Gantt charts and pictographs and can be effectively used in both communications and numeracy instruction. 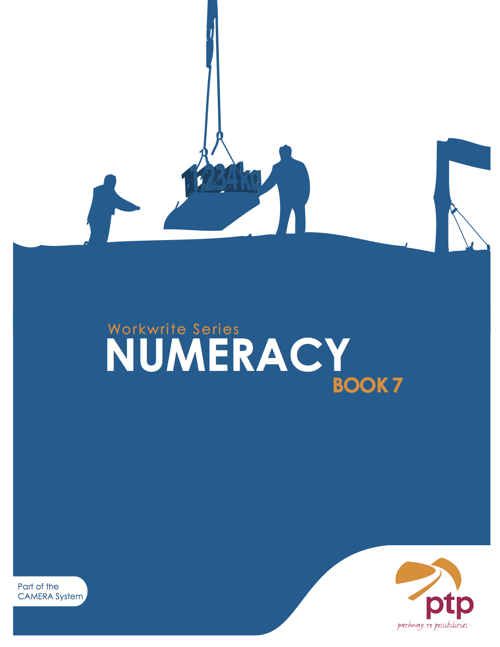 Book 7: Numeracy explores questions about who uses math on the job, how tasks are performed and why. 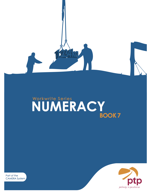 The resource provides an assortment of activities to comprehensively teach numeracy as it is used in the workplace, including working with money, measurement and numerical analysis. Have questions about ordering? Prefer to be invoiced instead? Not able to order online?